You know firsthand the many variables that go into the final cost of restoring a classic beauty on wheels. The cost of getting that vintage Camaro or Mustang can vary dramatically from car to car, depending on if it was drive-able or required a more significant rebuild, and if you salvaged it or got it in good condition from the dealer or a private seller. Even if you didn’t shell out $40,000 to $60,000 at the restoration shop, costs to repair on your own added up. These expenses don’t consider the hours you may have spent in the garage working on this “hobby,” and the sweat you may have poured into this labor of love. 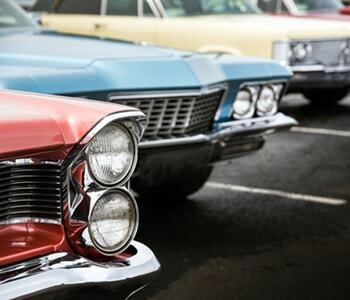 Collectible cars are a big investment. 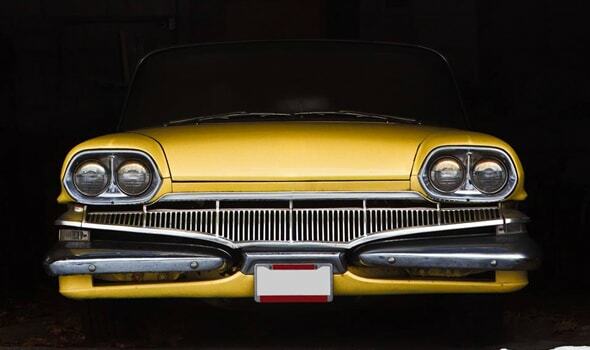 Many of these vintage cars may also have sentimental value beyond Blue Book figures. Maybe it’s a first car, or you inherited it from a family member. Whatever the case may be, these cars are worlds apart from the back-and-forth commuter vehicles, and they deserve protection from the elements – both environmental and human. You don’t have to worry about your vehicle sustaining damage from other vehicles. 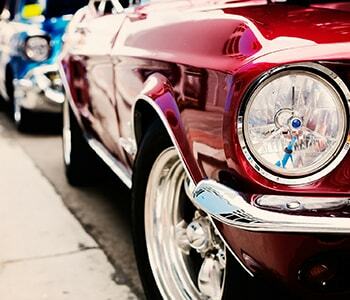 Spaces that are too cramped put your classic beauty at risk of being hit by other vehicles. Vines Storage used to be an expansive warehouse. There is plenty of space for your vehicle and any other belongings you may store. This makes it easy to get in and out of the facility, should you want to work on the car or take it on a day trip. Regular maintenance is necessary to keep any car on the road, collectible or not. We’ve made upkeep easy by offering many amenities onsite, such as detailing and washing. You don’t have to leave the facility! Our no-headache approach adds to the value you’ll find in partnering with us. Vines Storage understands classic car enthusiasts’ needs are as unique as the cars they’ve restored. For this reason, we offer more than the “one-size-fits-all” leasing option. Depending on your plans for the car, a long-term lease may be your best value. We also offer month-to-month for those who may not need a long-term option, or those who want the flexibility that’s afforded with the monthly option. At Vines Storage, we don’t simply provide a service. We consult with our clients. Discussing needs and preferences with you helps to identify the most affordable approach. The best value for you may not be the best value for a loved one who also partners with us. Recommendations are personalized to you. For added value, Vines Storage frequently offers promotions and discounts. We’re happy to discuss our special move-in rates. Call 909-389-6209 to speak with one of our experienced consultants. There is nothing quite like seeing the difference for yourself. 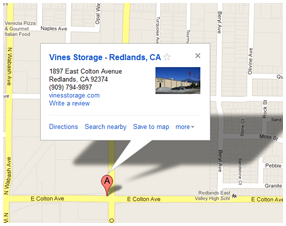 Our facility is conveniently located off the I-10 Freeway on the eastern side of Redlands.